When emergencies happen, minutes can seem like hours. AAS diligently monitors all response times in order to ensure prompt medical care each and every time we are needed. Area holds itself to a standard higher than the national average. 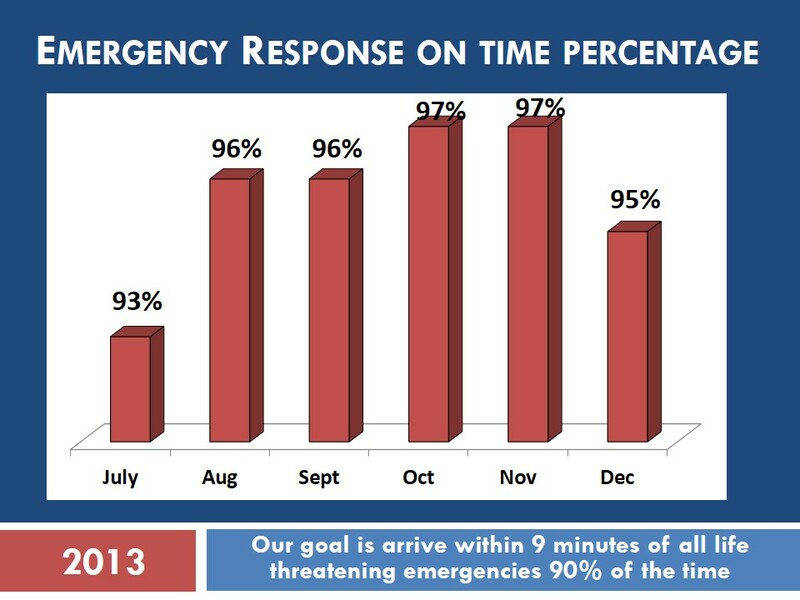 Our goal is to arrive at all life threatening emergencies within 9 minutes or less. Response times are continually reviewed and all exceptions are analyzed in an ongoing effort to maximize the efficiency and preparedness of our medics. Our dynamic deployment plans allow us to be proactive in meeting the ever changing needs of our community. July 2013 to December 2013.